One of the most popular RTS games of the modern era, Starcraft II has become a successful eSport. With bookies introducing eSports betting, Starcraft II is at the very forefront of the industry! Starcraft is one of the most popular and most successful franchises by Blizzard Entertainment. In 1998, first part of this game was released and quickly conquered the fans of real-time strategy games, and remained at the top of the most played games until today. The game became popular around the world and most notably in Korea. Up to this day Koreans are the most successful and most profitable eSports players of the Starcraft franchise. So, 12 years after the first release of Starcraft, in 2010, came Starcraft 2, which was warmly welcomed by all players and enthusiasts. This new, second Starcraft in a way refreshed and rejuvenated the franchise and real-time strategy games in general. The emergence of Starcraft II gave a chance to sportsbooks to include this eSport into their offering. 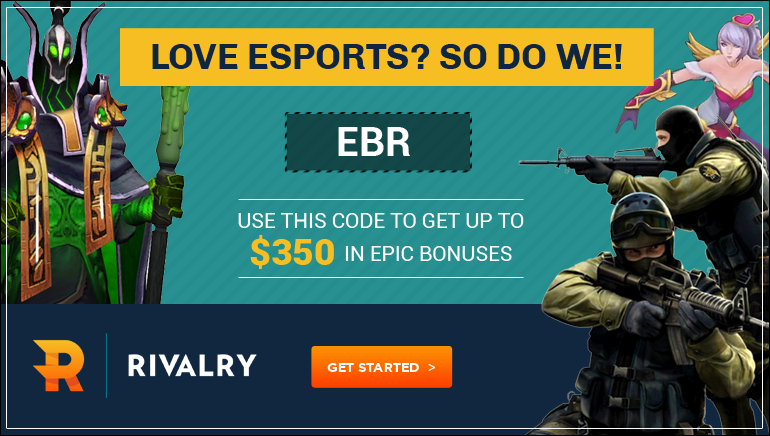 Its extreme popularity among players and non-players allowed for numerous betting platforms to include it into their roster allowing punters to place bets on the outcomes of individual matches and entire tournaments. Today, Starcraft II is one of the most popular eSports titles and one of the games most bets are placed on. In is important to note that StarCraft II's multiplayer mode is available free of charge. To play the game you are not required to have an internet access, but it is necessary during installation process. And probably most important for the fans is that StarCraft II is available through digital distribution. 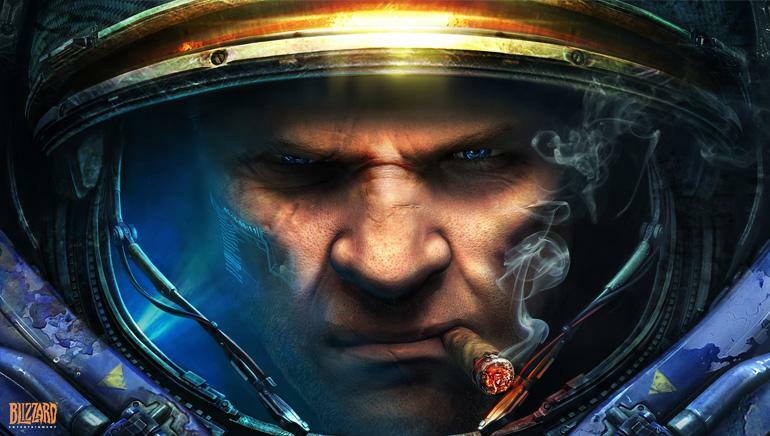 First part of the StarCraft II trilogy, Wings of Liberty sold around 1.5 million copies in just first two days and 3 million copies in its first month. The main goal of Starcraft 2 is to try destroying enemy base. However, to achieve it you have many smaller but equally important tasks to do, like building your base with necessary buildings and gatherings. It is important to know that the resources you have in your base are crucial for your sustainability and progress. Various strategies are, therefore, developed in order to defeat your opponent. There are three races Zerg, Terran and Protoss from which you can choose your character. Since the day it launched, StarCraft II has become a successful eSport with numerous leagues of ongoing tournaments with prize pools that go up to $170,000. Tournaments set for this game attract players from around the world, for example there are GomTV SC2 Global League, TeamLiquid StarCraft League, Major League Gaming, ESL and the North American Star League. These tournaments started as soon as the StarCraft II was in its beta testing phase, and the most significant were the HDH Invitational and Day's King of the Beta. At the moment, the most prominent and the largest professional tournament is the GomTV Star League (GSL) which is held in South Korea every month. The tournaments enjoy great corporate sponsorships and prize pools of over $100,000. This lead to the establishment of the North American StarCraft League, which was announced in February, 2011 and it is planned for an initial run of three seasons with $400,000 in prize money. The first season of the mentioned league started in April, 2011, and it included 50 players that were divided into 5 divisions. The first season ended on July 10, same year, and the total prize pool was $100,000. However, The North American Star League has run for additional two seasons. When Blizzard Entertainment announced the StarCraft II World Championship Series (WCS) tournament in 2012 with over 30 offline events, a great number of fans and players were particularly excited. This excitement included the thousands of dollars in prize pools. This tournament was supposed to have a new playing system, starting from National Qualifiers, through National and Continental Finals, finally finishing at the World Championship Finals in Shanghai, China. As it was mentioned above, Koreans are the best players of the Starcraft, therefore it was not strange that the winner was a professional player from South Korean Lee-Sak "PartinG" Won from team StarTale. He won the trophy and $100,000. At the same time, there are other StarCraft 2 tournaments that may bring WCS points for the players. Some of these tournaments are Intel Extreme Masters (IEM),DreamHack Open, Red Bull Battlegrounds, ASUS ROG and Homestory Cup. Betting sites and offers developed a lot in past few years, with many punters engaging in Starcraft 2 Betting. There are a lot of sites and forums that can provide you with good betting advices and predictions on Starcraft 2 along with other popular games like Dota 2, League of Legends, Hearthstone, Heroes of the Storm and Counter-Strike: Global Offensive. All interested players can find pre-match analyses, betting odds comparison and useful statistics at these sites, which can be a very important part in development of your betting skills and the great number of tournaments is going to your advantage. How To Get Started With Starcraft II Betting? Although it is never easy to predict for sure which team will win certain tournament in Starcraft II Betting, as there is no safe bet, there are guidelines and tips that can be helpful and at least provide you with the better starting position. Using the internet to do research and find very useful statistics and information will help you make more educated guesses. The more you know about the game, the better your odds of winning will be. However, if you wish to be successful at eSports betting, you will have to watch a lot of matches and learn about the maps and abilities of certain players on particular maps. After all, have in mind that statistics is a key to making a good bet. With the time and ever-growing knowledge you will become more accurate and successful.